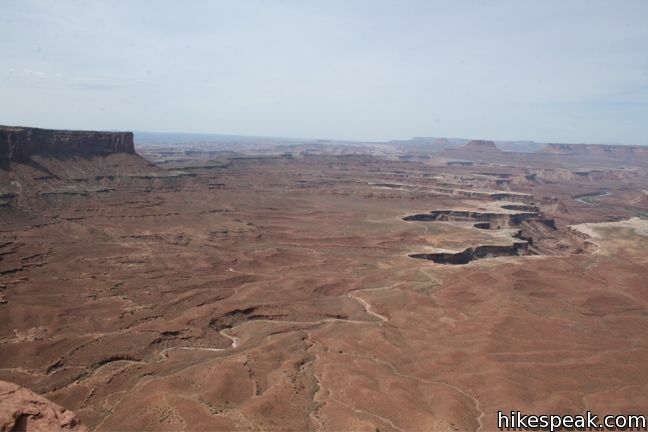 The Island in the Sky offers great views for visitors who aren’t in favor of exploring too far from their transportation. 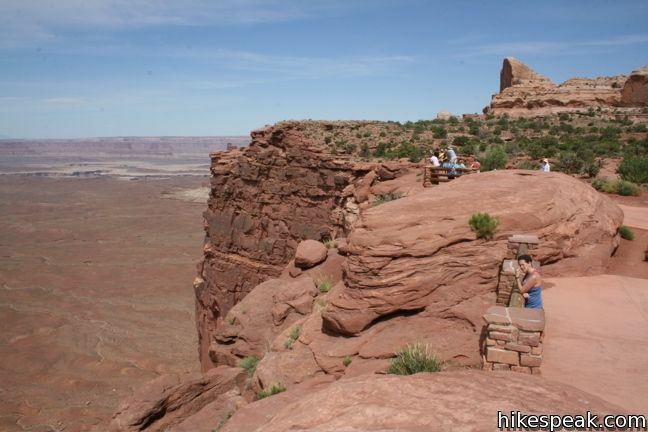 Even for hikers, every overlook in the Island in the Sky in worth checking out. 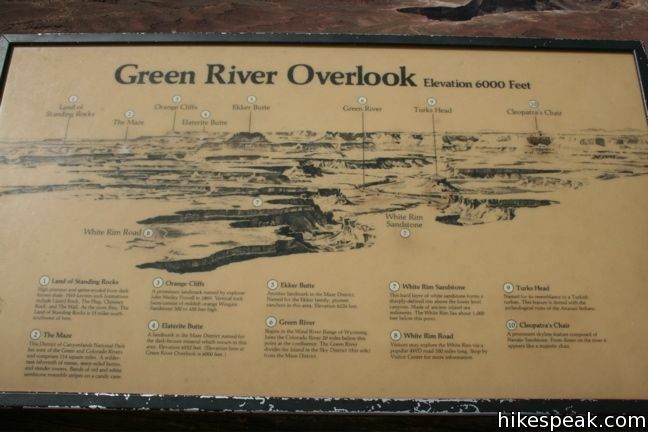 The two viewpoints should not be missed are Grand View Overlook and Green River Overlook. 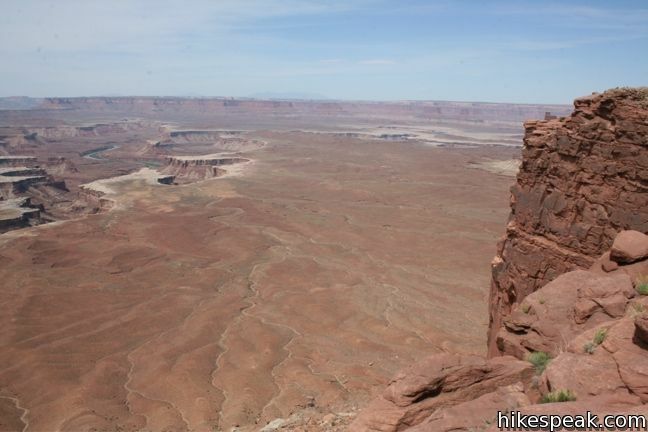 These provide excellent views along with informative panels. 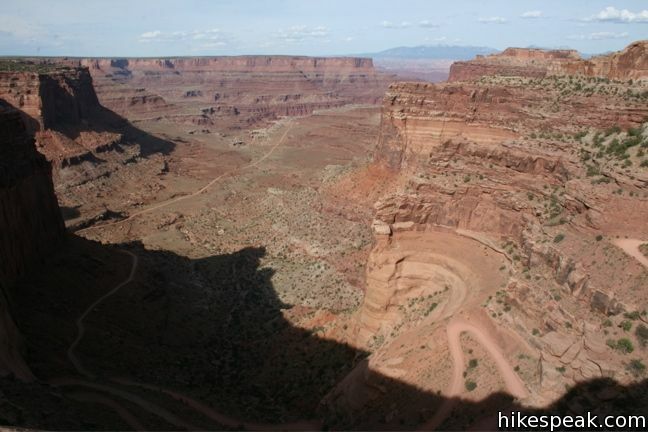 Grand View Overlook at the south end of Grand View Point Road offers views and a trailhead for a short hike to Grand View Point. 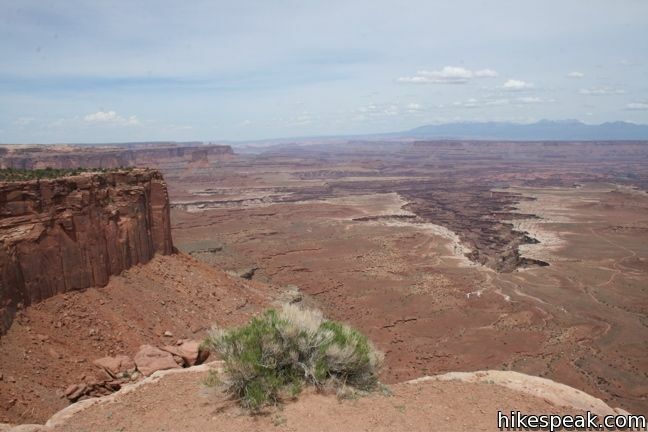 Additionally, Buck Canyon Overlook offers a nice view to the east. 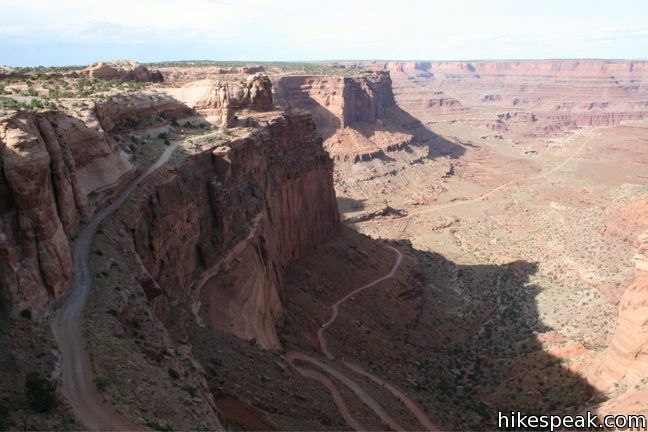 Shafer Road Overlook lets you look down on a 4X4 road that weaves down the side of the mesa to the White Rim. 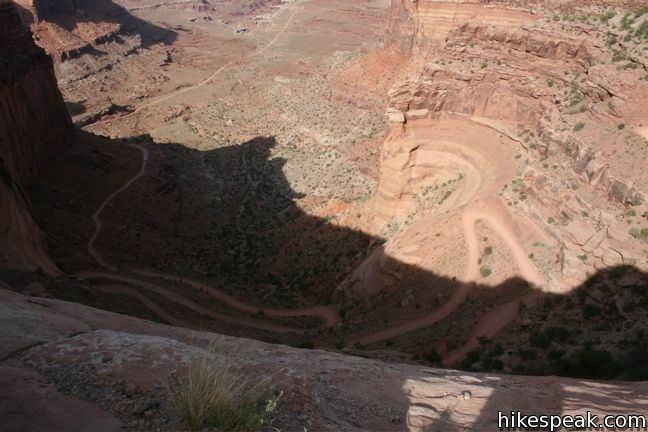 This craftily placed road is impressive to look at. 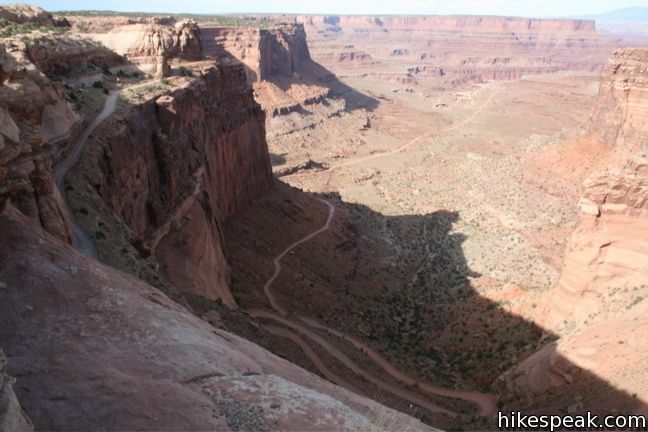 White Rim Overrlook is the starting point for White Rim Trail, which goes out to a picturesque point on the mesa. 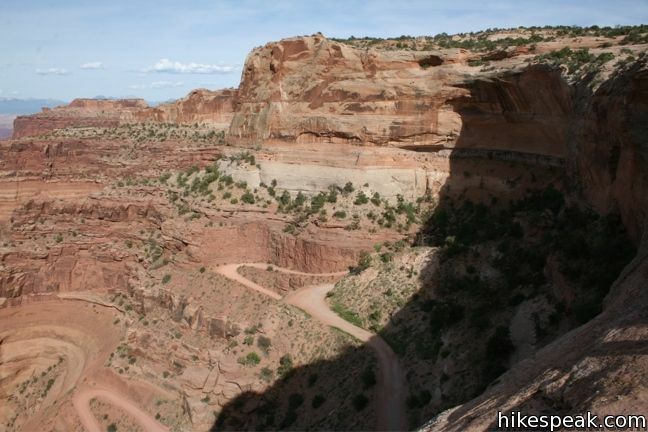 This gradual 1.8-mile hike visits the end of a peninsula in the Island in the Sky with 300-degree views of the canyons below. 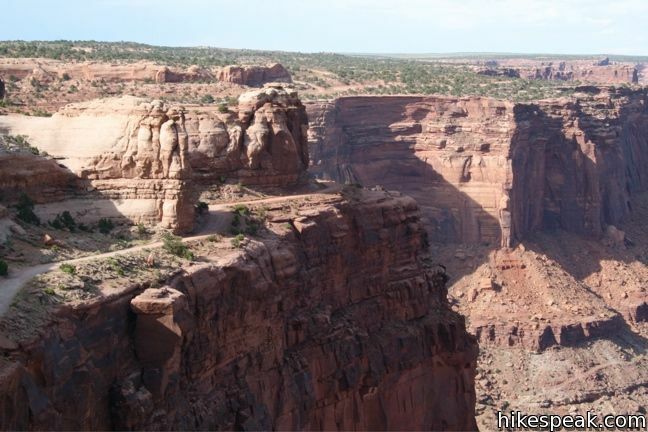 This 2-mile hike travels along the mesa’s edge from Grand View Overlook to the southernmost point on the Island in the Sky. 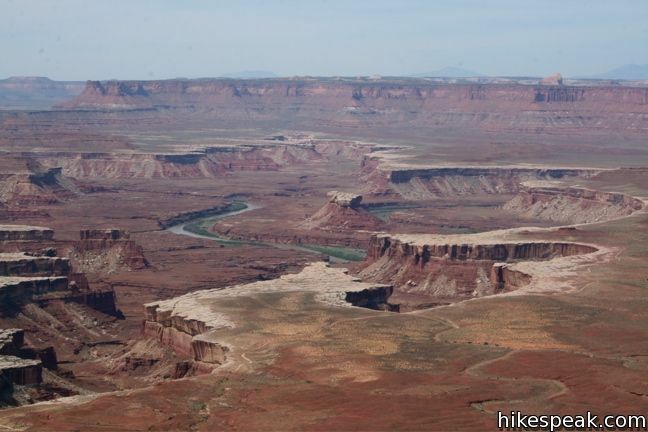 This 3.6-mile hike visits a west-facing point on the Island in the Sky overlooking canyons carved by the Green River. 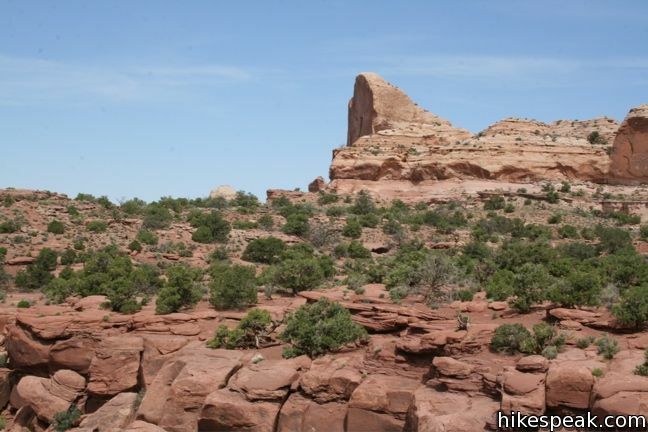 This 0.7-mile loop visits a picturesque arch spanning across the mesa’s edge. 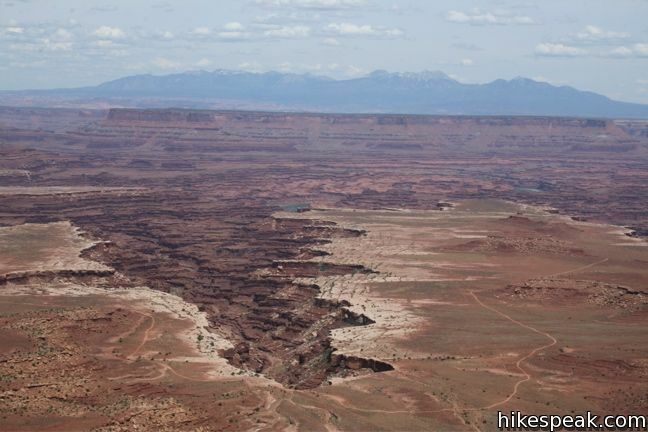 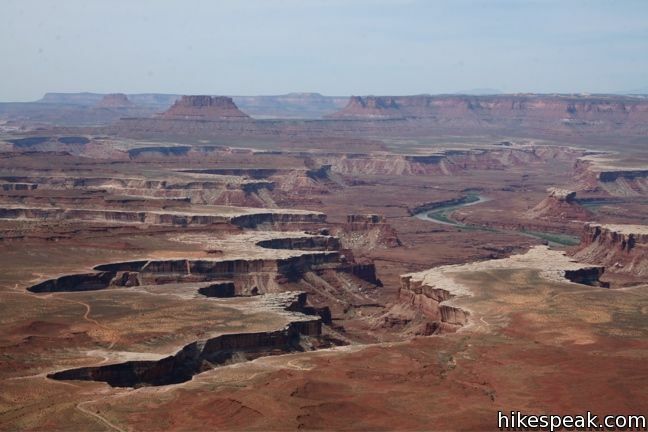 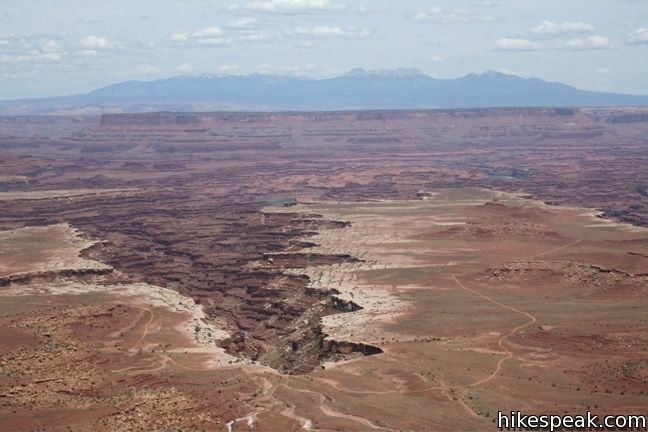 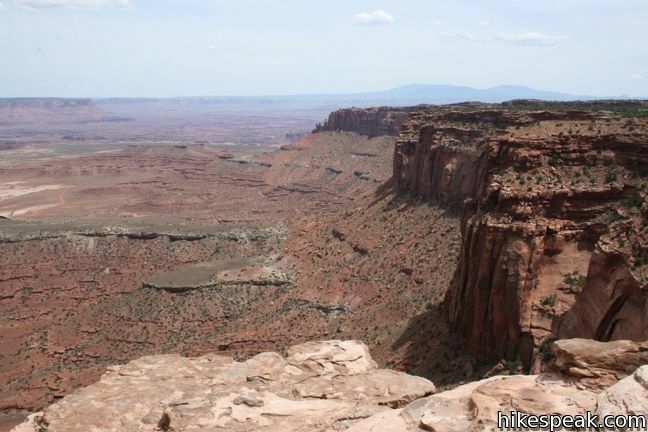 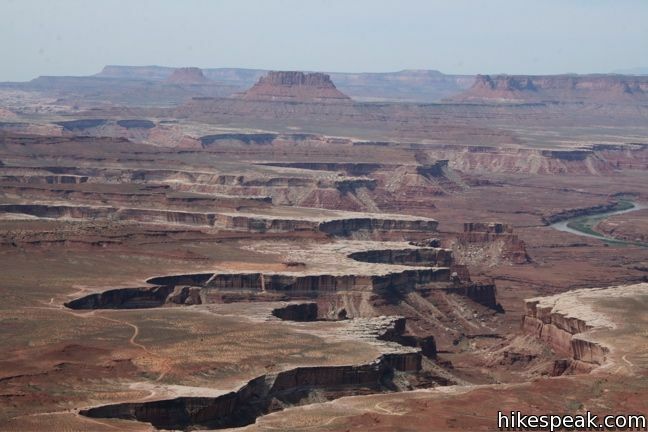 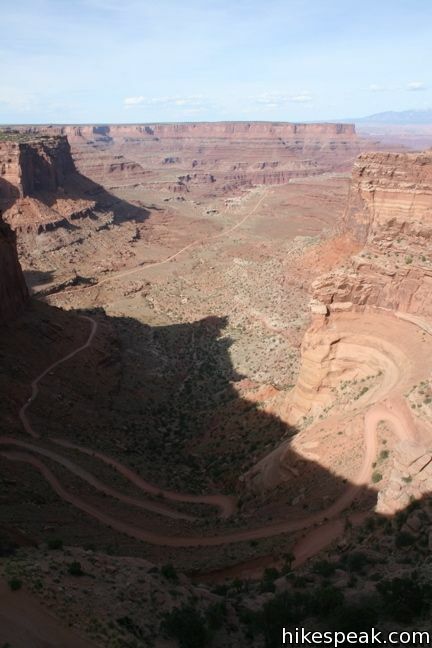 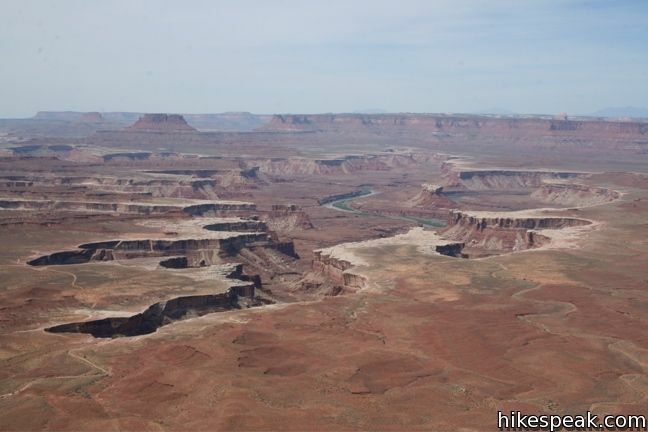 Explore other hikes in Canyonlands National Park and elsewhere.